A ‘plastic baby’ born in Amritsar has become become the topic of discussion in the state and elsewhere in India. 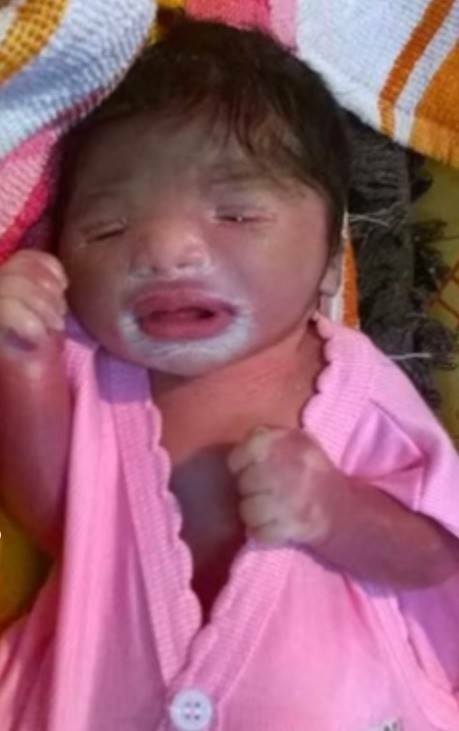 The baby born with a rare condition looks like a rubber doll, with her face similar to that of a fish. The medical term for such a newborn is collodion baby. Since there are no routine tests for this genetic condition, it goes undetected in the antenatal period. However, diagnosis is possible based on genetic studies and Karyotyping. According to experts, collodion babies should be placed in a high humidity chamber, and monitored closely for complications. A high humidity environment will allow slow, gradual sloughing off of the membrane. If you have any insights, questions or comments regarding our article on the collodion baby, please share them in our Comment box below.